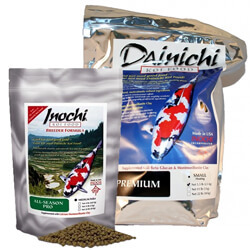 Dainichi FishFood Held to the highest quality standards in the world. Dainichi formulations originated at the most elite level of koi breeding in Japan. The only koi food in the world imported to Japan by top Niigata breeders.